When working with Ringwood's fence installation experts, you can be confident that your fence is being installed by professional fitters who are highly experienced in the fence installation process. We provide expert advice on fencing options and security needs to enable us to provide the highest quality timber and workmanship for your project. Our team of project managers, fence installers and assistants deliver over 500 fence installations a year, in addition to commercial installations for our regular customers including Chester Zoo, Cheshire West and Chester Council and numerous local schools. We also have a plethora of experience in working on new build developments for customers such as Bellway Homes, Rowland Homes, Stewart Milne, Redrow, and Edwards Homes. Uneven, sloping and difficult ground conditions can cause many difficulties for inexperienced fence contractors. For the Ringwood Fencing team of experts, envoronmental challenges are easily resolved with our experience and know-how! Our workmanship is guaranteed for 12 months from the date of installation. We're proud to be considered as the leading provider of fence installations in Cheshire, but don't just take our word for it, take a look at what our customers say about us. Whether you're in need of a garden fence installation, high-security fencing or commercial fence installations, we can advise you on the most suitable type of fencing for your requirements. Our friendly team is always on hand to discuss the options available and you can view examples of our products at our showroom in Chester. Using an established fence installation team saves you from spending additional money on tools. We've been installing fences in Cheshire and the surrounding areas for over 24 years, so you can rest assured that we have the right tools for the job. When it comes to commercial fencing and new build installations, Ringwood Fencing is an SSIP registered installer wth full health and safety accreditations by CHAS, SafeContractor and Constructionline. 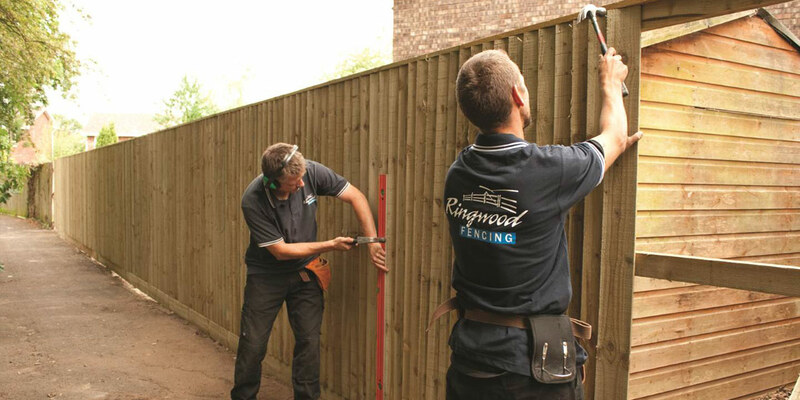 If you would like to discuss your fencing requirements with an installations expert, you can email us at installations@ringwoodfencing.co.uk or call us on 01829 740136.